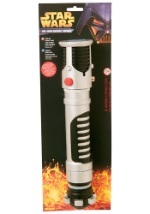 Your infant will look cute in this Obi-Wan Kenobi baby costume. The romper is a soft polyester with details printed on as well as a sewn on belt. Snaps between the legs make this baby Halloween costume a cinch to get on and off. 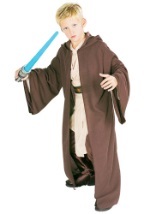 Your child will be on his way to Jedi Master in this Obi-Wan costume for newborns, infants, or toddlers!